Price Track EA is a multi-settings, multi-strategies expert advisor. 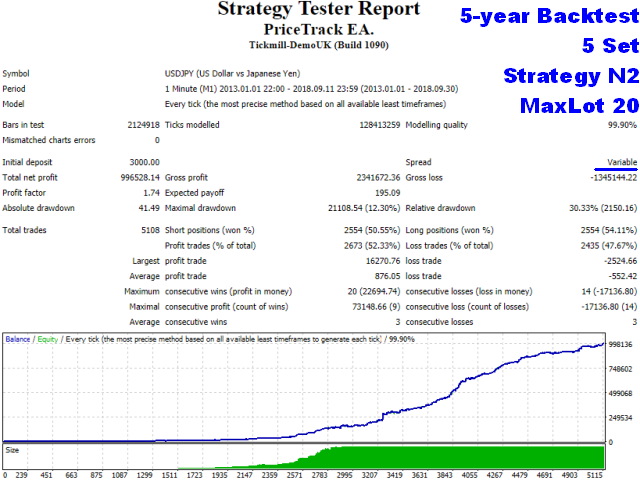 Price Track EA is a highly quantitatively-driven automated system with underlying strategies based on the rigorous implementation of proprietary price tracking algorithms developed for the identification of areas of price momentum exhaustion and momentary unsustainable price movements, with the end objective of generating low-risk hyper-alphas. The algorithms model the microdynamics of price movements as a function of the behaviour of buyers and sellers in an infinitesimal time space to a given variation in demand and supply balance, allowing for the identification of extreme unsustainable imbalance and potentially favourable micro-conditions for trading opportunities. 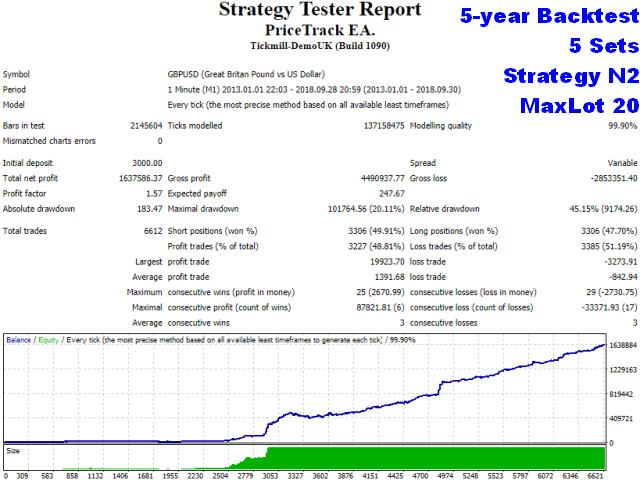 The Price Track EA prioritises on shorter time frame charts, and its focusing on the immediate action allows for heavier lot sizing offset by small holding periods (sometimes fractions of a minute) to manage risk. 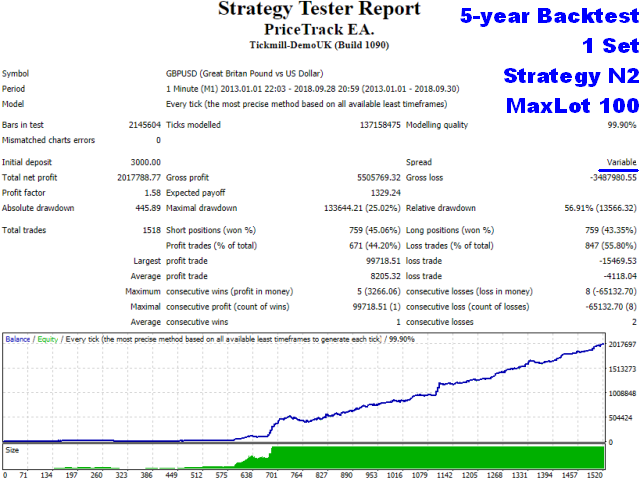 Every trade is protected by a stop loss and once in the profit zone, profits are protected by trailing stops. 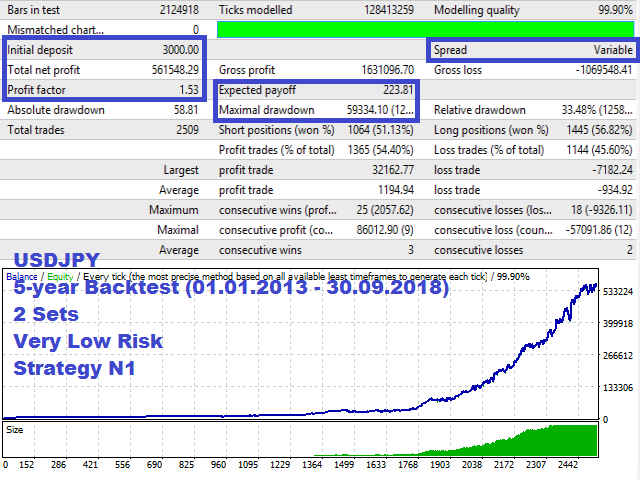 Price Track EA has been rigorously tested with real tick data, with 99.9% modelling quality with $8.2 commission per lot round trip, real variable spreads and realistic slippages (65% chance of slippage at open and close of orders, of which 75% non-favourable). Price Track EA comes with over 600 in-built user-selectable rigorously tested pre-sets, thereby allowing for extra robustness and flexibility of use with different brokers. 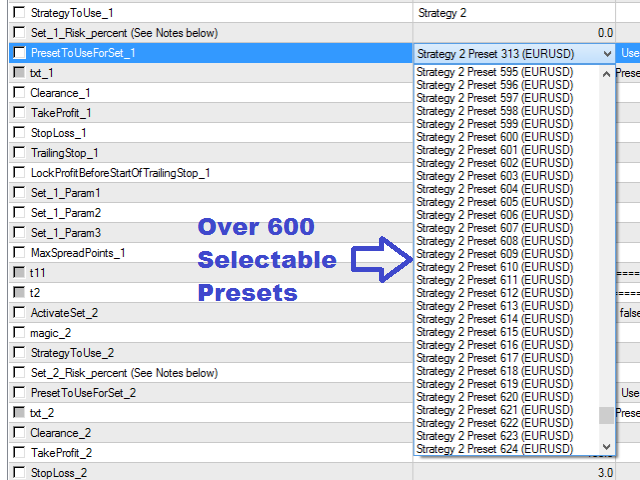 Simply select the pre-sets that performs best with your broker, or manually input your own settings. 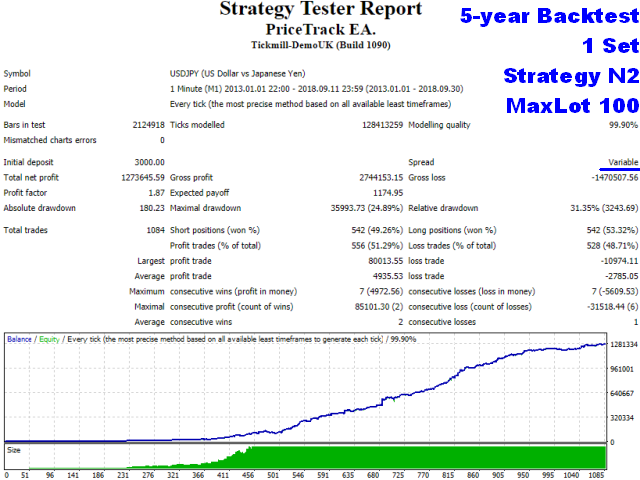 User can activate up to 10 sets to trade simultaneously, allowing for potential hyper growth in the accounts equity. The in-built account management system ensures risks are properly managed when working with multi-sets according to user specified preferences. The EA comes with 2 strategies, and users can select either of the strategies to use. The EA can be used in multi-currency mode, setting it on different charts. Note that sometimes this EA may not trade for days depending on the input settings. 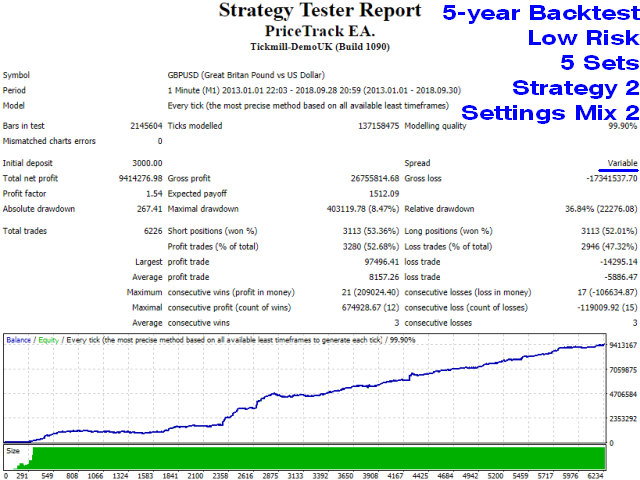 Real account performance MAY NOT exactly replicate the above demo signals due to broker/VPS specifics, among others. Adjustment of sets variables may be necessary to achieve good results. DynamicLot (If True, lots will be auto-calculated based on RiskLevel). I used it for 1 week. So far I had 6 trades with neither profit nor loss. Considering VPS expense, actually it's a loss. Will update 1 week later. 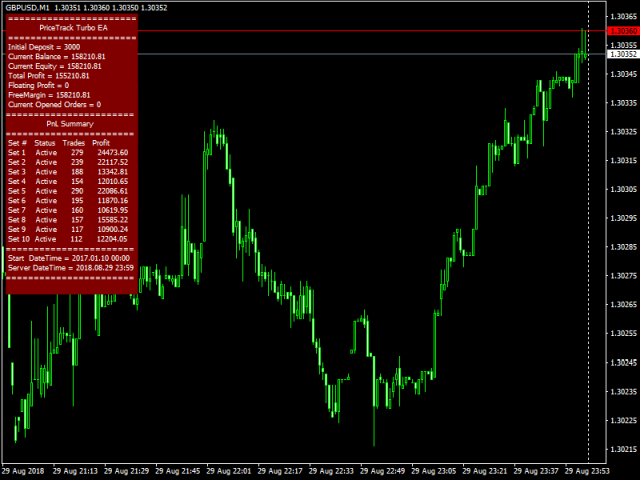 I decided to stop using this EA for a while because my trades are way different from the signal. While all trade in the signal were in profit, mine were in loss today. 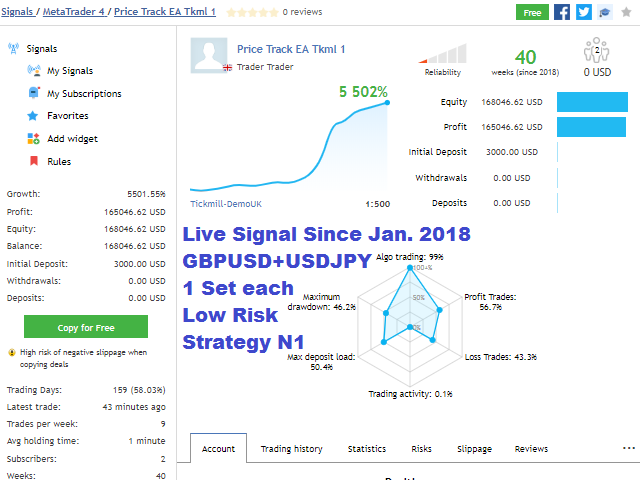 The author said that this EA should be used for long term, but I can't wait and there is no gaurantee that my account could grow like signal since there is discrepancy among trades. I used 1ms latency vps and icmarkets. So far so good. Will update again after 1 month. EA seems to have good profitability, but now the time is too short and will be updated later. So far everything is good. The developer is a good person, very patient and very supportive. The EA seems to be powerful, first trading days with profit, and the support of the developper is just amazing. I will update again later with more accurate data. So far everything good! The EA is making profit! Changed logo, added color palette for info display background color selection. Version 1.10: Minor edit in product description.